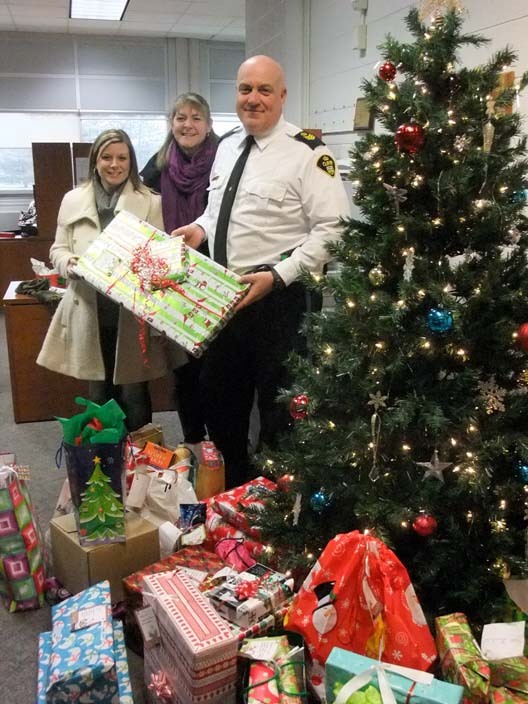 The Norfolk Ontario Provincial Police and their families helped to sponsor four families this Christmas. Shown in picture are two workers for the families that will be receiving the gifts, Melissa Sayegh and Brenda McRae along with Staff Sargent Rick Tout. Special Thank you to Teresa Ollen-Bittle for organizing the sponsorships. Thank you all again so very much. You are Christmas Angels.